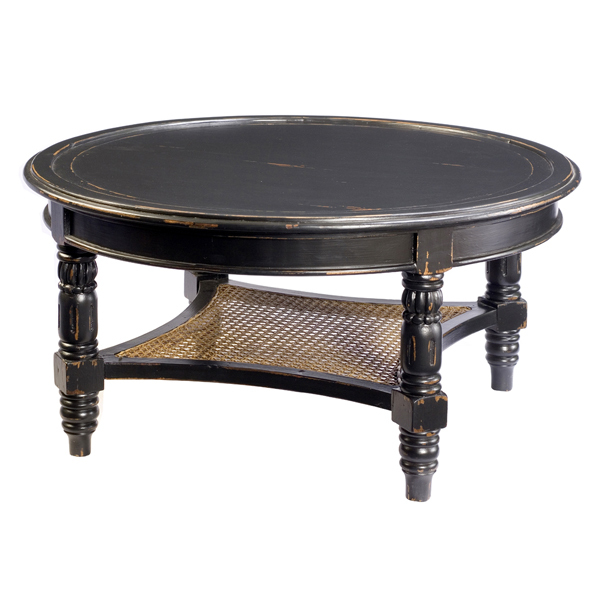 Round coffee table featuring one shelf with rattan insert. Shown in Black Heavy Distressed painted finish. Handcrafted from solid premium mahogany.